Everyone knows the person who unconsciously hits ctrl + s every few minutes when working on a document. Or they have backups of backups with external hard drives seemingly in every location imaginable. This may sound like overkill, but the truth is, it’s hard to be too safe when it comes to your data. This is especially true if you run a business. If you’re currently paying for server space, whether it’s a VPS or dedicated server, you no doubt have valuable information sitting on it. Whatever you do with your server space is up to your discretion. Each use case is different. Chances are you at least have files that make up your website on there. Associated databases with customer information, emails, or anything else related to allowing your business to operate are going to be on the server as well. If you’re keeping large amounts of data stored remotely, you’re probably working with a dedicated server. This is especially true if you’re running a mid to large sized operation that’s using your server space for more than a website. With business critical information being kept in a location that you personally do not control or own, it’s important to have a data safety plan in place to ensure that you don’t lose important information that could make or break your business. As far as what your hosting company offers, sure, free backups are available. This is a helpful complementary service that’s perfect for getting some peace of mind that you could restore your website in the event of some kind of incident. But, this generally shouldn’t be relied upon as your only backup solution. After all, does all of your business information live on that server or do you have a lot of it saved locally as well? Chances are your business critical information lives in multiple locations consisting of your server and a home machine. It’s your responsibility and it is in your best interest to have your own backup plans in place in order to ensure you don’t suffer from any catastrophic losses should something disastrous occur that affects your server for any reason. Redundancy is the key to information security. Having multiple backups (and different kinds of backups, specifically) is a best practice that every business owner should adhere to in the event of a rare, but serious event occurring. How costly can data loss be? How can you protect yourself from it? Here’s what you should know about backup redundancy and why being a little obsessive with your backups isn’t a bad thing. The concept of business continuity is something that if you’re just starting out with a website and maybe a small team, isn’t at the forefront of your concerns. But eventually, you may hope to have your own facility with a large staff and a more complex organization. As your business grows, if it’s not already at this point, you will accumulate even more data. Important emails, customer information, art assets, and pages of content are just some of the things you’ll need access to in order to run your business from day to day. What would happen if these things somehow got lost? Unfortunately, many businesses have experienced this for a variety of reasons, so we do have some idea how this situation plays out. Backups vary in how they work. No matter the system you put in place, it’s recommended you have a cloud backup you can access at anytime, a local backup you keep at the office, and an offsite backup on physical media that you keep in a secure location should the other backups be rendered unusable at the minimum. Running a “full” backup of course saves everything in a selected location. While these are the most complete backups, they can be time consuming and you run the risk of creating a situation where you have duplicate files. A snapshot is a little different. It helps avoid the possibility of data corruption that could occur as new writes are made to data during the full backup process. It’s referred to as a snapshot because it’s a read-only copy of your data made at a specific moment. It’s not as taxing on your system and can be used in conjunction with full backups for extra protection. Keep in mind a snapshot is not technically a “backup” and you shouldn’t rely on them alone. Incremental backups will only save changes made since the last incremental backup. It’s a relatively quick way to make sure your information is up to date and doesn’t requires as much space as a full backup. A differential backup captures any changes that were made since the last full backup, which is slightly different from the way incremental backups work. You typically won’t perform both and it’s really up to your preferences which you opt for. You may get a sense of “worst case scenario” when reading through all of this information. After all, what are the chances of some natural disaster or fire knocking out the facility where all of your data is saved? Isn’t a cloud backup made at regular intervals really enough? Sure, chances are you won’t experience a situation like this. It would certainly make for the perfect storm of events. But don’t think of these backup guidelines as just something that acts as a contingency plan should you lose access to a server. It’s a good guideline for securing every aspect of your business. Now more than ever, we rely on compiling information. Do you really want to risk only having one backup that isn’t even on local media you’re in possession of? 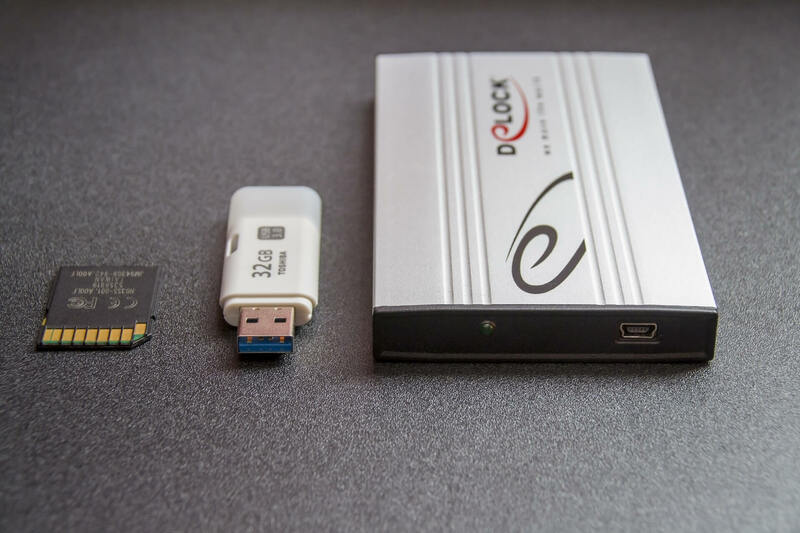 There’s nothing wrong with some redundancy in your backup efforts just so you can have peace of mind knowing you probably won’t lose anything, even in the most far fetched scenario. Your hosting company offers as much as it can via customer service, but you’d do well to take it upon yourself to perform additional backups so that you have something locally to work off of should you need it. Your business should partner with a hosting company that has the services and features you need in a server environment to help you meet your goals. KnownHost offers free backups, migrations, industry leading 99.9% uptime, complementary DDOS protection, and 24/7 fully managed support. Contact us today. Our team is here to help you find the best hosting solution for your business and assist you if you have any questions about your dedicated server.